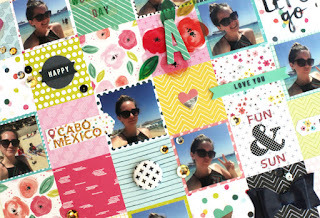 As soon as I spread everything from my May Here & Now Kit onto my desk, I knew that the Paige Evans Patchwork Fancy Free paper was the first to work with. 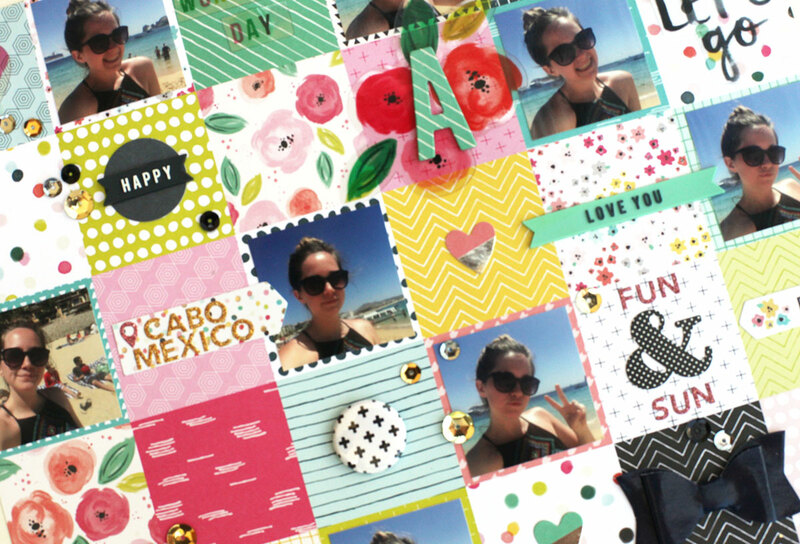 I remembered seeing a bunch of selfies from my daughter on my phone and thought this paper would make the perfect home base for all of those photos. I printed all of the photos just under 2 X 2 inches so that the paper sections would give a little frame to each picture. 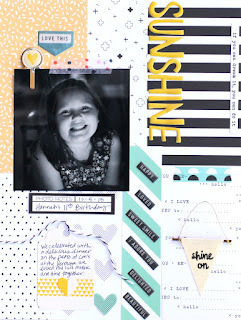 This page came together really quickly by adding lots of bits and pieces from the kit to the page along with the photos. 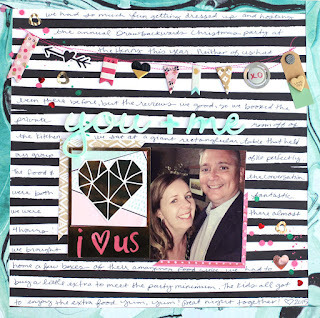 It felt so good to make a page! Enjoyed the process and love that I'm documenting for our family. 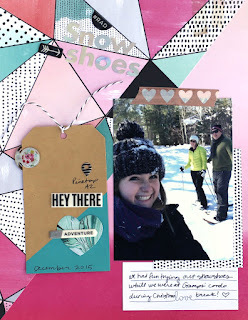 This month, I've been having fun creating with the Oh Happy Day Scrapbook Circle Kit. 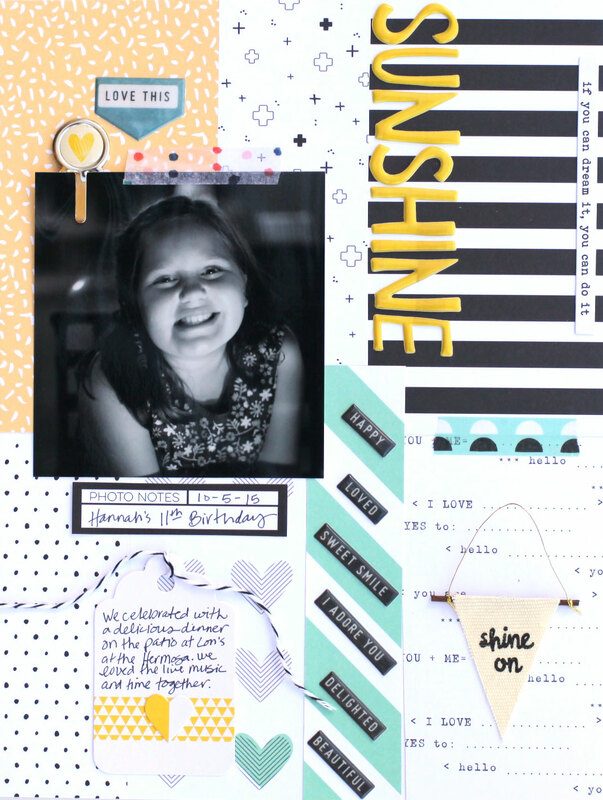 The bright, cheerful colors just call to me! 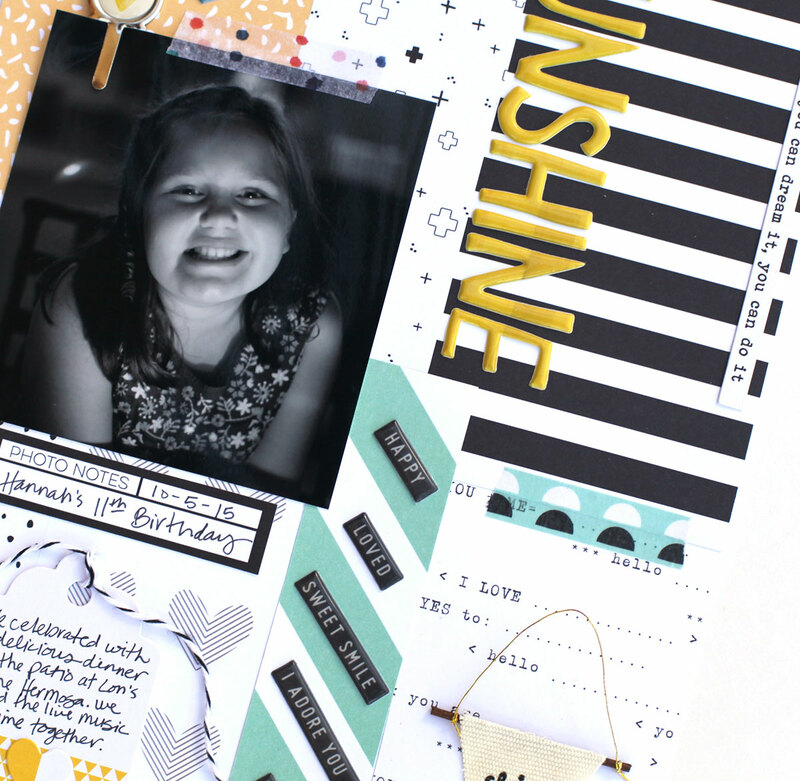 Today I'm up on the Scrapbook Circle blog sharing this page about my favorite 11 year old. 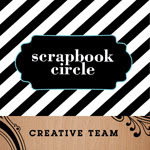 My post is all about how to create a custom layout background out of 6X6 paper strips. It's a fun and simple technique that has a nice impact. Just for fun, I took pictures along the way as this page came together and I've put them together in a little video using the Party, Party app. You'll see that I started out with a different photo, but once I pulled the papers decided to switch to this photo instead. This page was fun to build and came together quickly! 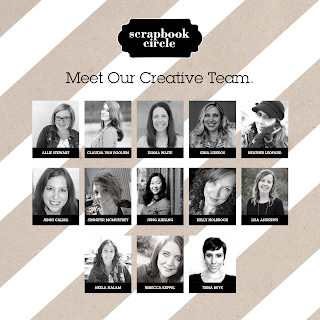 One of my favorite things about Scrapbook Circle is the opportunity it gives me to get to work with talented and kind people. Starting with our April Kit, we will have a new team of ladies working to bring the best inspiration and I'm excited to be working with them. Here's a look at the new team! Hope you are excited about this new team. 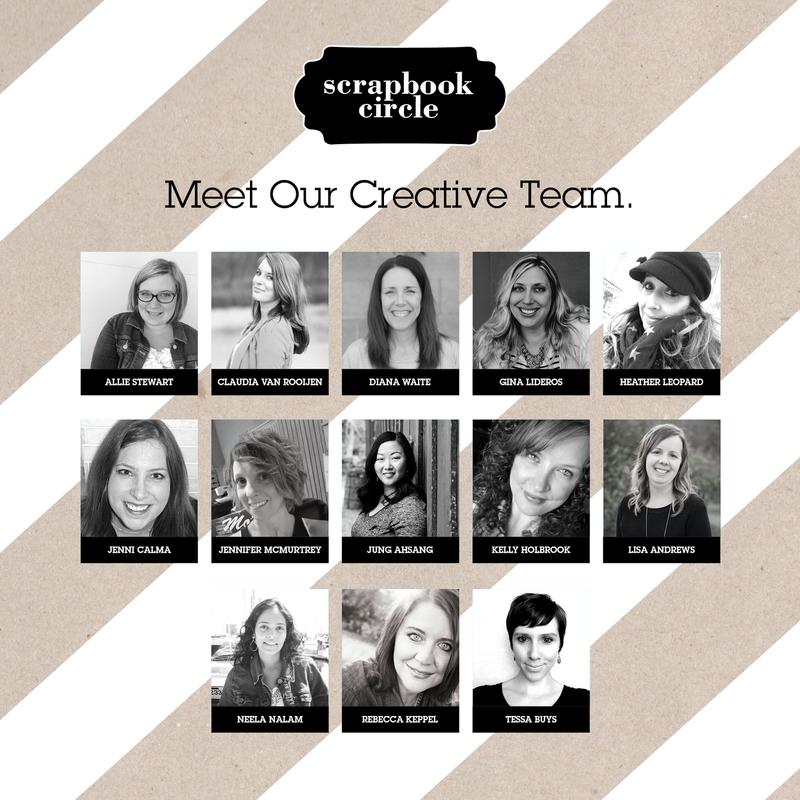 Looking forward to working with all of these ladies! Over Christmas break we got away for a couple of nights to play in the snow and enjoy some time away together as a family. 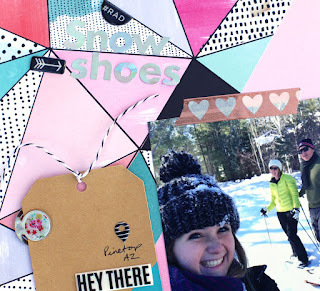 We had a great time playing games (King of Tokyo is a new favorite), trying out new restaurants, meeting up with friends, sledding and we even tried out snowshoeing. We had a fun time trekking around on the snowshoes. We didn't go for a very long time, but I could see that it would get very tiring if we'd set out to walk a few miles. For a Phoenix girl, this was a perfect adventure with a fun mix of cold and snow. Can't wait to do it again sometime! Hope your day is sweet with filled with the people you love! 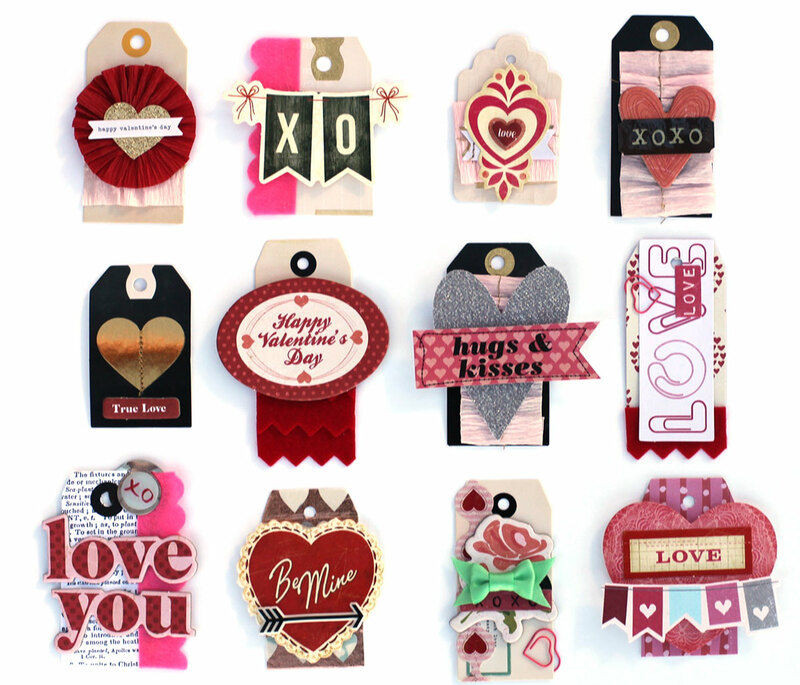 I had some fun putting these tags together with lots of leftover bits and pieces of Valentine themed goodies I've had piling up around here. Now they'll get tied to treat bags and be ready to give out! Looking for a little way to sweeten up this Valentine's weekend? 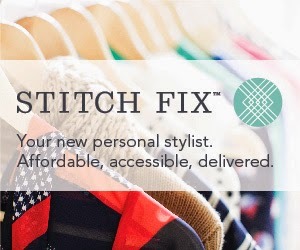 How about picking up a few goodies for yourself while with a nice savings? 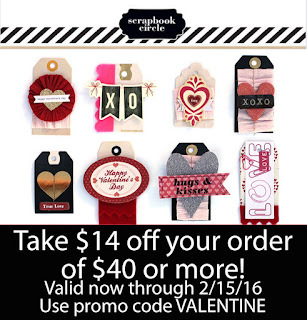 Save $14 on your Scrapbook Circle orders over $40 this weekend! Sweet! 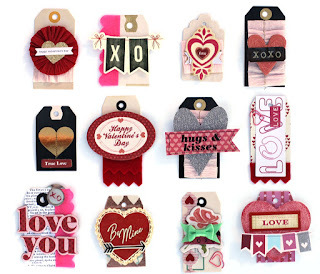 Use code VALENTINE at checkout. 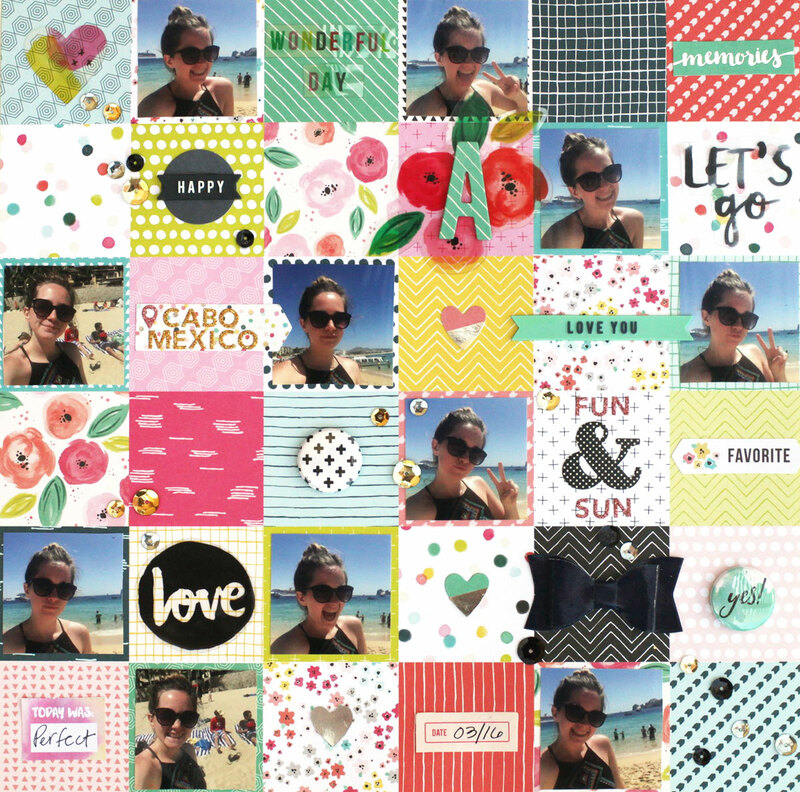 I've had so much fun playing with paper and photos this past week. 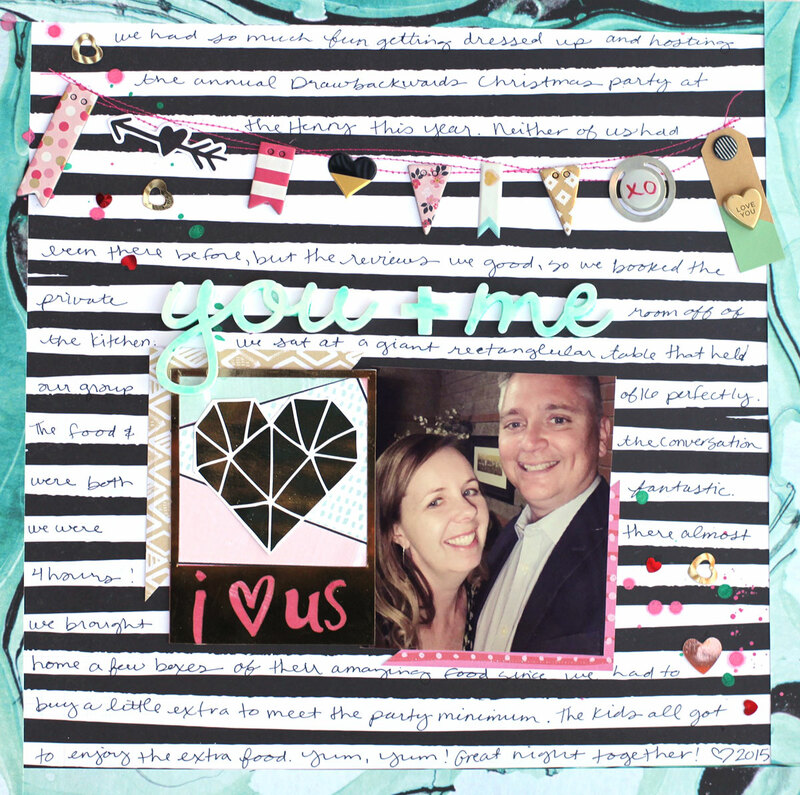 It feels so good to have time to make creating a priority right now. For this layout, it was all about playing with a favorite photo and adding lots of journaling. Those lines on the background paper just called to me to be filled with words! 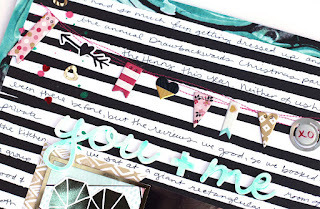 The You + Me acrylic pieces started out white, but I really wanted to color them to match the frame of the page. I experimented by covering the acrylic with mist (Heidi Swapp Color Shine Mint) and let the color sit on it overnight. The next day the mist was totally dry and had formed a film on the letters. I peeled the film back and the letters were left covered with the beautiful minty color! For a few finished details on the page, I added mint foil to the heart card next to the photo. Every time I use the Silhouette, I love it! I need to remember to use it more often. 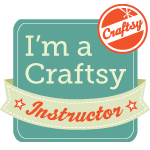 I also added a few lines of hot pink stitching near the top to create a base for the banner along the top. I wonder if I will ever tire of banners? Hope not!